Clinic Synopsis: This session will engage participants in an overview of how sight reading is being taught in large ensemble settings throughout the country. In this session, I will present what techniques are commonly used to teach sight reading, why it is important, and how it can be used regularly in the classroom. Attendees will receive practical information that can be used in their daily rehearsal, tools to build long term rehearsal strategies, and goals for teaching sight reading to their students. Clinician Biographical Information Dr. Kate Ferguson is Director of Bands at the Akron School for the Arts, housed at Firestone High School. As a music teacher in the Akron Public Schools, her teaching responsibilities include wind ensemble, concert band, jazz band, marching band, and middle school band concert bands. Currently in her eighteenth year as an educator, Ferguson previously served in the Crestwood Local and Cuyahoga Falls City School Districts. 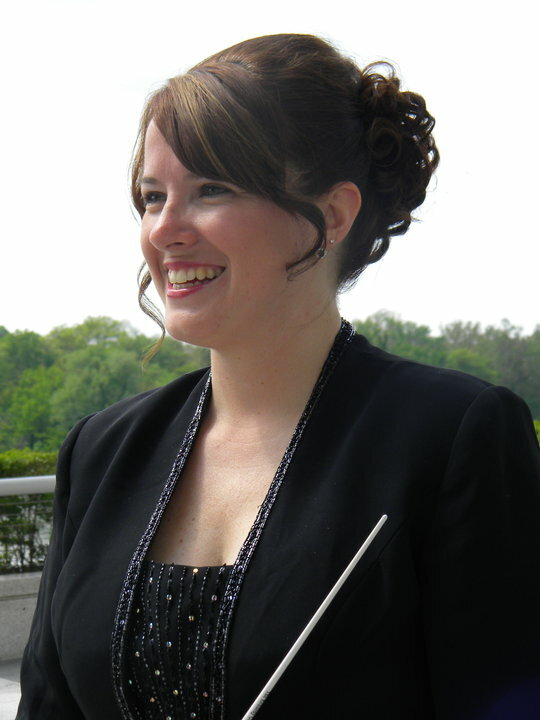 She holds a Bachelors in Music Education degree from Kent State University, a Masters in Music Education Degree from the University of Akron, and a Ph.D. in Music Education at Kent State University. Under her direction, Ferguson’s ensembles consistently earn superior ratings at both district and state Ohio Music Education Association Events. Her ensembles have been invited to perform at the International Music Festival at the Kennedy Center for the performing arts, the Northeast Ohio Band Invitational at Severance Hall, the Ohio Music Education Association Professional Conference, and the Fort-McDowell Fiesta Bowl Parade. Additionally, her performing groups are highly involved in community performances and events within the Northeast Ohio area. Ferguson is an active member of the Ohio Music Education Association (OMEA). Her service to OMEA includes adjudication and hosting High School Solo & Ensemble Events. In addition, she has been a frequent member of the Professional Conference Planning Committee (2003, 2006, 2009) and Past-President of District VI. Ferguson has served on the administrative staff for Matrix Indoor Percussion Ensemble for sixteen years. Her professional memberships include National Association for Music Education, OMEA, American School Band Directors Association, Jazz Education Connection of Ohio, and Delta Omicron.